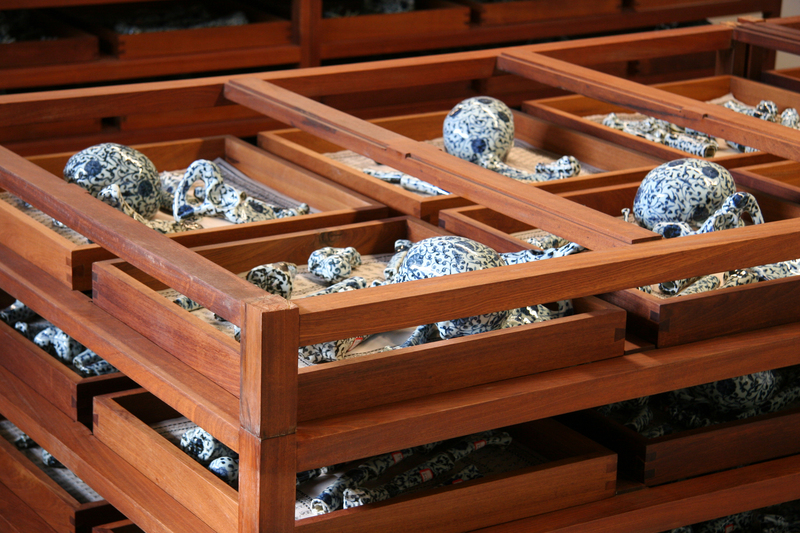 From the first avant-gardes of the late 1970s, Chinese artists have shown an extraordinary creative ferment. Like a phoenix, this mythical bird always rising from its own ashes, they offer a diversity of forms, always renewing itselfn and they characterize the fierce artistic scene of China. In the Great Hall and the Ancient Abattoirs as well as in the garden, the works of 20 artists from the late 1970s and the 1980s to the contemporary artists, will be shown – constituting a spectacular set. 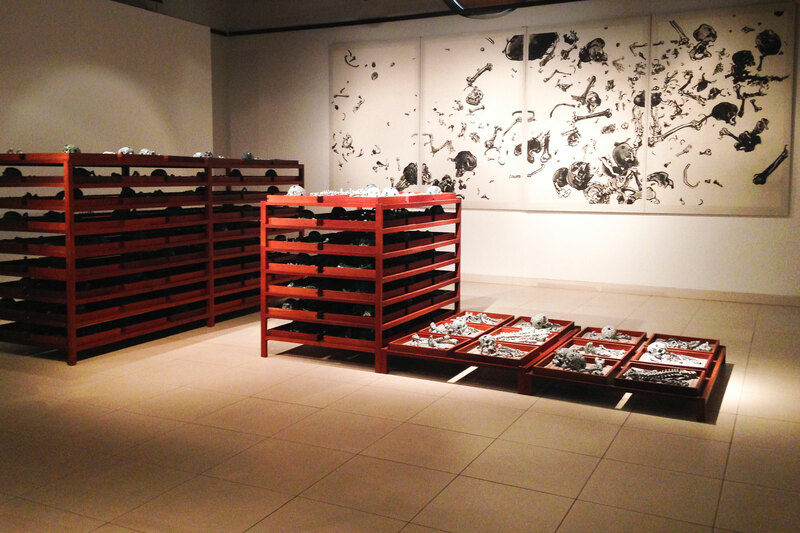 The show will feature the installation “Underground Flowers” by Yang Jiechang. Created as a co-production with the Gallery Jaeger Bucher, this installation met a strong succes at the Biennale de Lyon in 2009. 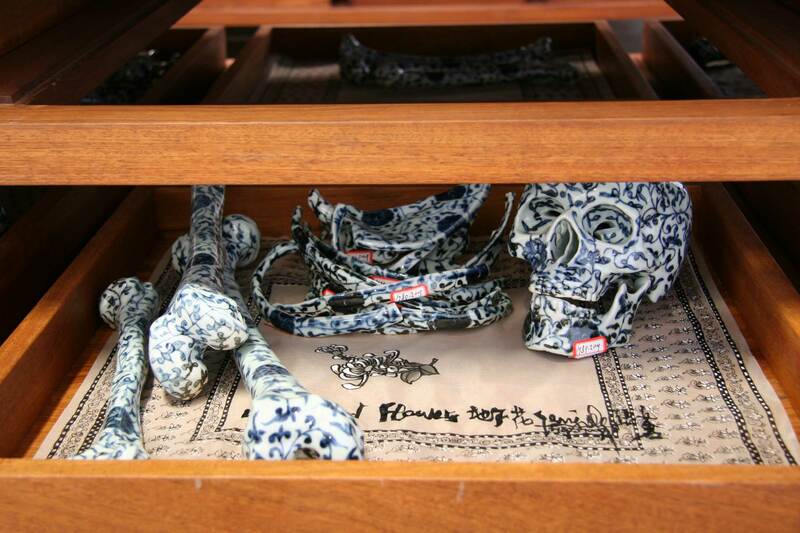 Underground Flowers consists of hundred human size skulls and bones, made of blue and white porcelain. 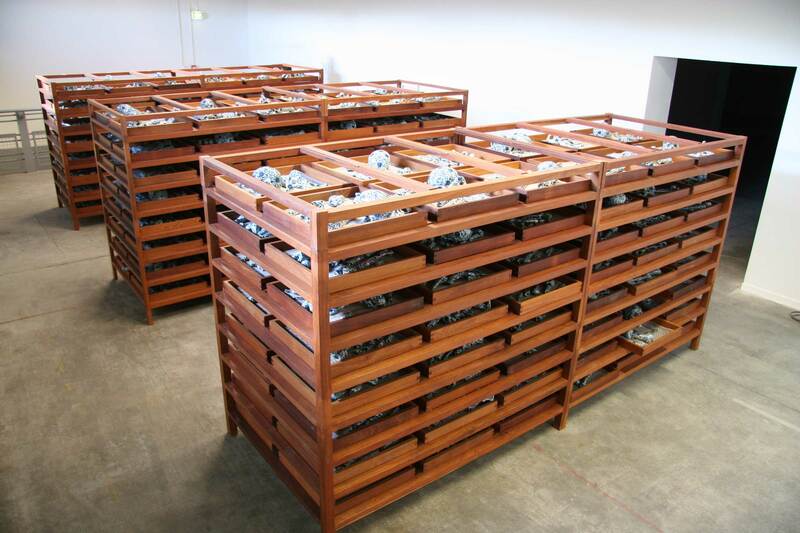 Displayed in wooden crates, these bones allude to the time that flies by and the cruelty of political regimes.